Pauline is a Registered Psychotherapist with the College of Registered Psychotherapists of Ontario (CRPO). She holds a Masters degree in Counselling Psychology and a Specialized Honours degree in Psychology. She has received post-graduate certification in Emotion-Focused Therapy (EFT), Mindfulness-Based Meditation in Clinical Practice, Gestalt Therapy, Eye Movement Desensitization and Reprocessing (EMDR), Sensorimotor Psychotherapy (Level 1) and Cognitive-Behavioural Therapy (CBT). Pauline has been practicing psychotherapy since 2006. In addition to her private practice, she has worked for a university counselling centre, an employee assistance program and a multidisciplinary pain clinic. 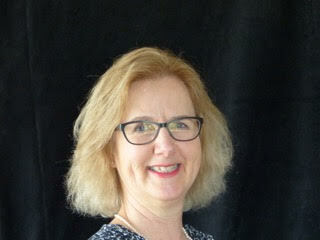 She is a member of the Ontario Association of Consultants, Counsellors, Psychometrists and Psychotherapists (OACCPP). Pauline takes the time to really understand her clients, not just by listening to their words, but by seeing them holistically—inclusive of mind, body and spirit, within the context of their life stories. She is alert to and acts upon opportunities that will deepen their understanding of themselves. She helps her clients to process unresolved grief, loss and trauma and to become aware of and disengage from old patterns of behaviour that are no longer useful to them. Pauline honours the trust her clients place in her and is inspired by their ability to grow and adapt, even under challenging circumstances. She continues to engage in her own journey of self-discovery and growth, which enhances her ability to meet her clients with authenticity, presence, and compassion. "I see the choice of engaging in psychotherapy as a way of reaching for the possibility of a better life. My approach is respectful, mindful and compassionate. I slow my clients down so that they can hear what they are saying to themselves. I value and work with the emotional memories my clients hold and honour and support their inner wisdom and strength." "In my leisure time, you will find me outside walking, hiking, cycling, canoeing, skiing or skating, depending on the season. I also play tennis and enjoy a round of golf every now and then. I continue to develop my own inner wisdom and strength through daily meditation and yoga practice and by attending retreats from time to time."